Final 2018 Community Health Needs Assessment is Ready! After the final review of almost 200 pages of content, the Healthy! 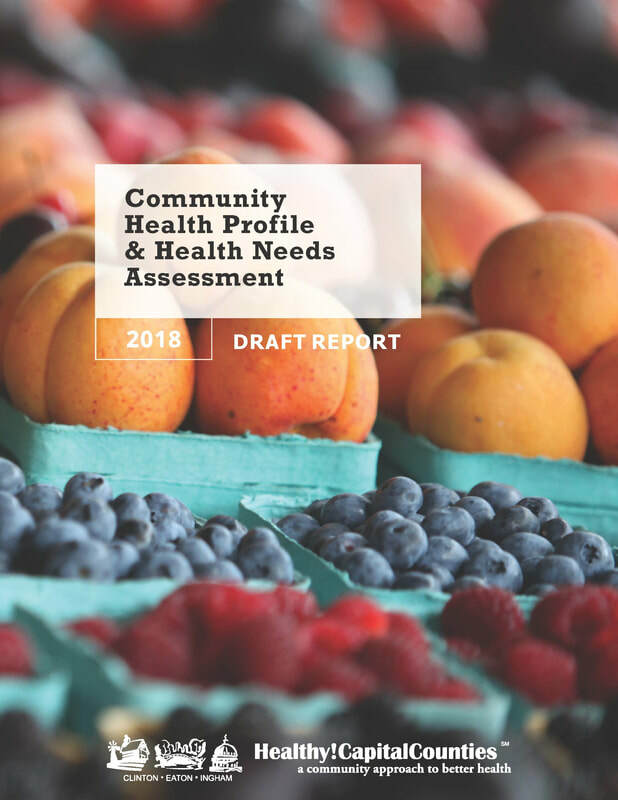 Capital Counties project is excited to announce that the Final 2018 Community Health Profile and Health Needs Assessment is available! Please click on the "2018 and 2015 Reports" tab above to access the full report, including the newly added geographic-specific pages and the results from the November 2018 Prioritization Event. Thank you to everyone who made this project possible! We will be reaching out soon to hear about how your organizations are using the information from the report and to coordinate tackling these health issues! Final Score from MEASURE MADNESS! Thank you to everyone who participated in Measure Madness and helped us to "cut down the nets" (i.e. decide on our tri-county health priorities)! The 5 health priorities that were chosen are Behavioral Health, Health Care Access and Quality, Obesity, Financial Stability and Economic Mobility, and Chronic Disease. A summary of the prioritization process and results will be posted on the website within the next few weeks. Breaking News! DRAFT 2018 Needs Assessment Now Available! The Draft 2018 Healthy! Capital Counties Community Health Profile & Health Needs Assessment has been published! It can be found by clicking on the "2018 and 2015 Reports" tab at the top of the webpage. A final report will be published in the near future, but for now, please use the report as the data and information in it will not change! NEW - Weekly Facebook Quizzes! New for 2018...The project is now challenging you to test your knowledge of the Healthy! Capital Counties! 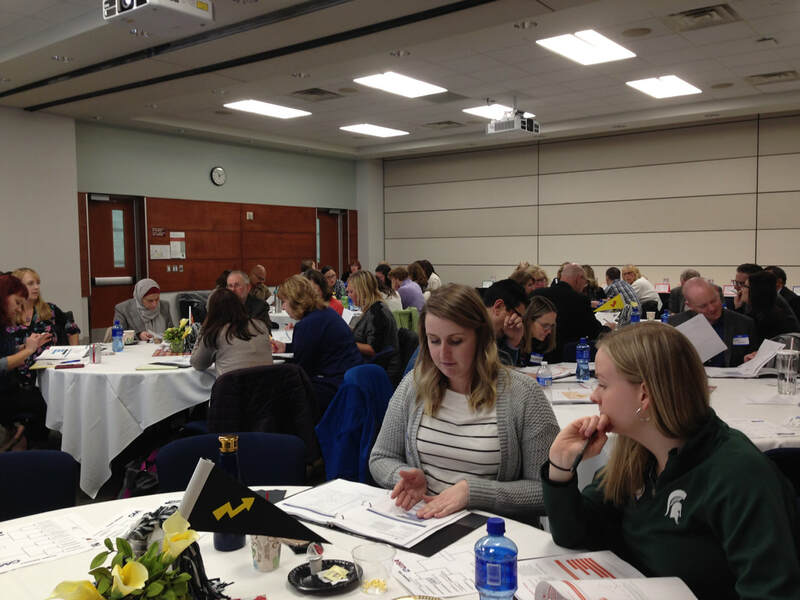 Think you know what is happening with health in Clinton, Eaton, and Ingham counties? Every Monday at noon, take a new 1-question quiz to see if you know your stuff! Best of all, anyone who lives or works in Clinton, Eaton, or Ingham counties and takes the quiz will be entered into a drawing for a $25 Meijer or Walmart gift card! Be sure to visit our Facebook page to take the quizzes, and tell your friends and coworkers! 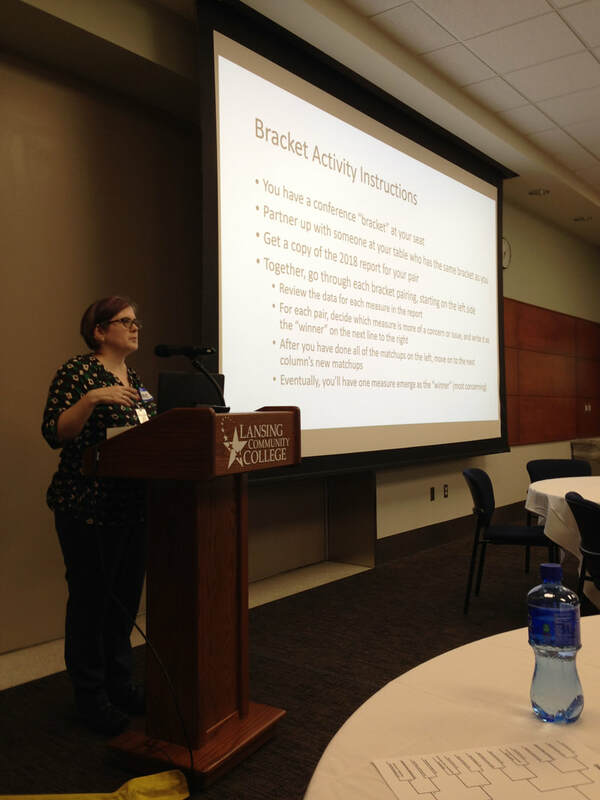 New Date for the Prioritization Event - Registration Now Open! 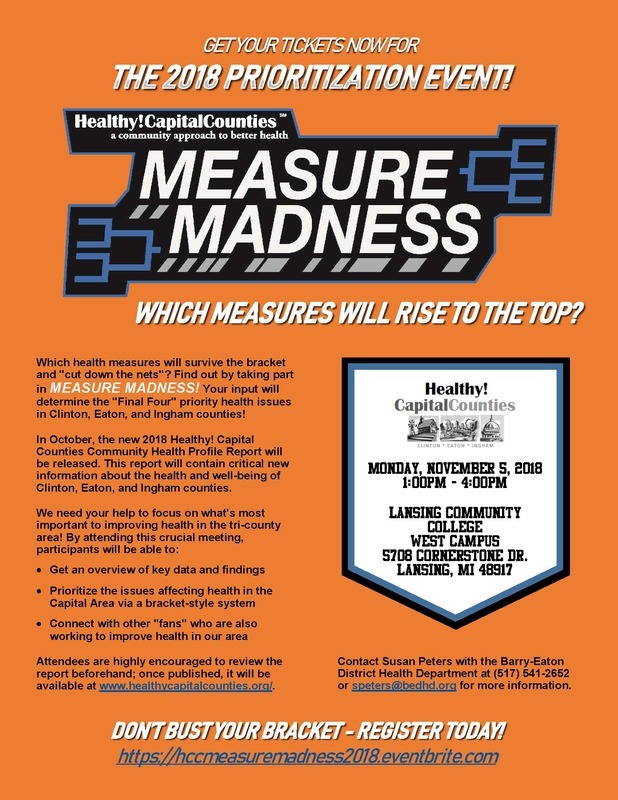 Register now for MEASURE MADNESS - the 2018 Prioritization Event for the Healthy! Capital Counties project! 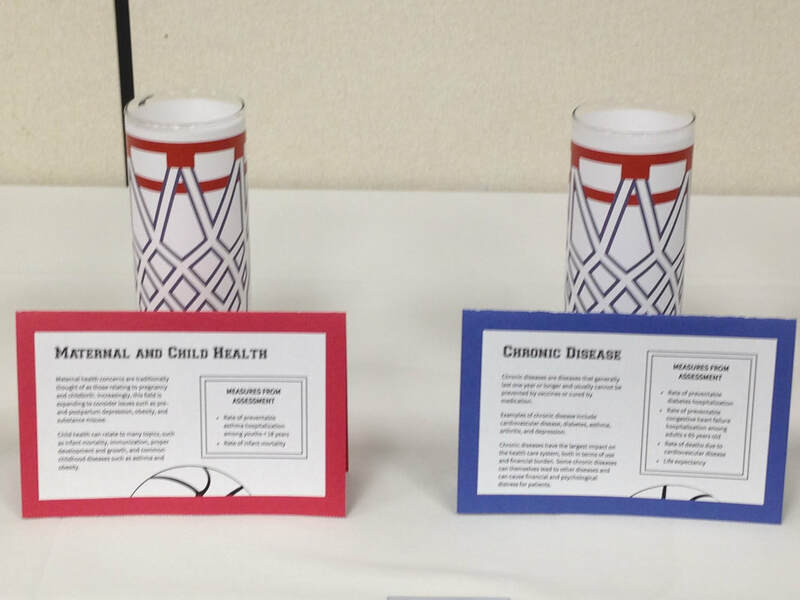 Help us determine the "Final Four" health priorities that we should work on to improve the health of Clinton, Eaton, and Ingham counties! Join us on Monday, November 5, 2018 from 1:00-4:00pm at Lansing Community College, West Campus. Registration is now open at https://hccmeasuremadness2018.eventbrite.com (note this is a new date and time for the event). 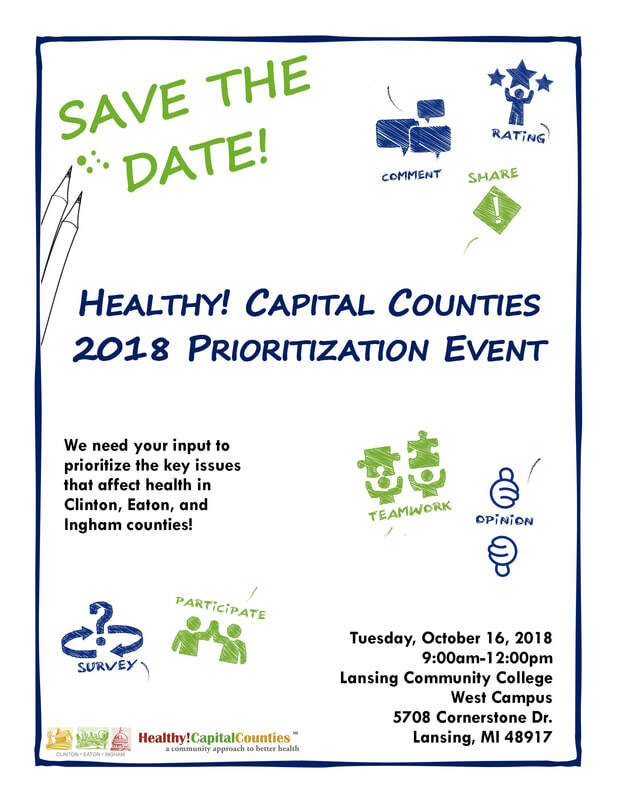 Mark Your Calendars for the Prioritization Event! 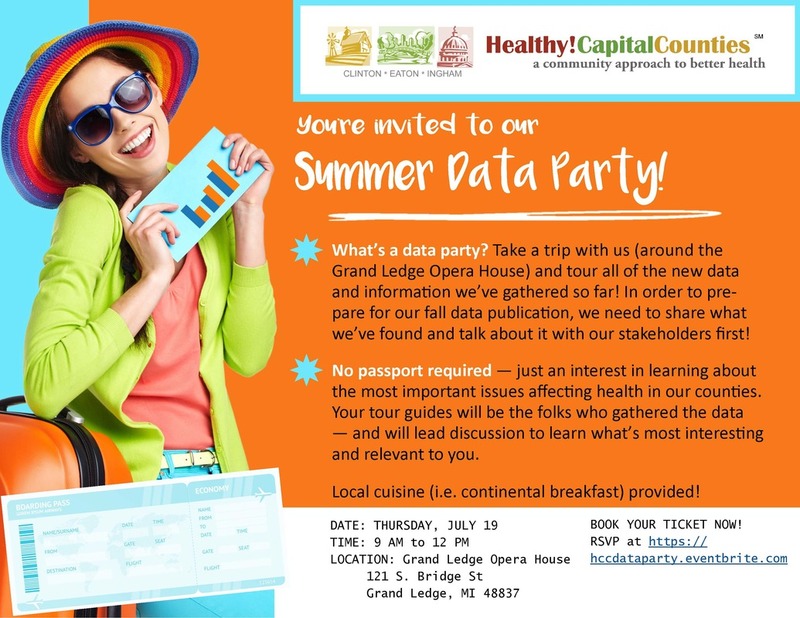 Join Us for the July Summer Data Party! What’s a data party? Take a trip with us (around the Grand Ledge Opera House) and tour all of the new data and information we’ve gathered so far! In order to prepare for our fall data publication, we need to share what we’ve found and talk about it with our stakeholders first! No passport required — just an interest in learning about the most important issues affecting health in our counties. Your tour guides will be the folks who gathered the data — and will lead discussion to learn what’s most interesting and relevant to you. Local cuisine (continental breakfast provided)! Please contact Susan Peters at speters@bedhd.org or (517) 541-2652 with any questions. Dates for the 2018 Healthy! Capital Counties focus groups have been set! We are trying to collect people's experiences, thoughts, and opinions on how healthy they are, and what in their community helps them stay healthy or keeps them from being healthy. We are interested in hearing from people who are "healthy" as well as those who may think that they are "not healthy". Persons must fit the following criteria for the various groups below, as well as be either uninsured, unemployed, have low income, on Medicaid, receiving food stamps (SNAP) or WIC, or being using a food bank/pantry. This is because we are trying to capture the experiences of those who are traditionally underserved by the medical and/or health communities. Chronic Disease - April 5th at the Greater Lansing Housing Coalition. Contact Lisa Wegner at (517) 541-2606 or Lwegner@bedhd.org for more information or to register. Persons of Color - April 5th at the Allen Neighborhood Center, Lansing. Contact Abbi Lynch at (517) 541-2644 or alynch@bedhd.org for more information or to register. Special Needs/Disabilities - April 10th at Peckham Lansing. Contact Lisa Wegner at (517) 541-2606 or Lwegner@bedhd.org for more information or to register. Eaton County (Rural) - April 11th at Union Street Center, Eaton Rapids. Contact Abbi Lynch at (517) 541-2644 or alynch@bedhd.org for more information or to register. Clinton County (Rural) - April 24th at the Clinton County District Courthouse, St Johns. Contact Susan Peters at (517) 541-2652 or speters@bedhd.org for more information or to register. Please help us spread the word! Visit our Healthy! Capital Counties Facebook page at www.facebook.com/HealthyCapitalCounties/ to see and share our posts about the various focus groups. Please contact Susan Peters at (517) 541-2652 or speters@bedhd.org with any questions or for electronic copies of fliers and other promotional materials.